Could you have a picnic without summer salads? Nope! So this week as the Flavors of Summer Virtual Picnic winds down I’m going to be bringing you two delicious summer salads. 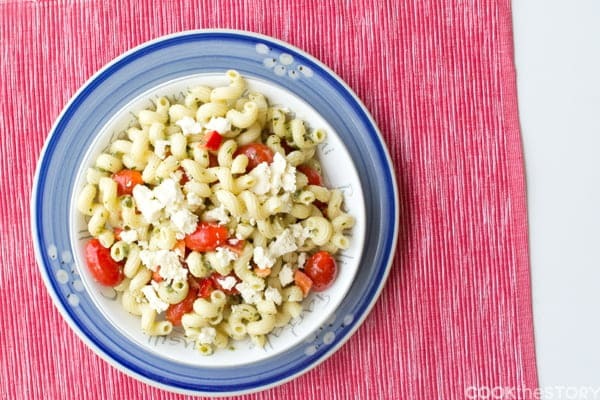 Today is a red, white and easy pasta salad recipe to celebrate Canada Day. And then on Wednesday I’m bringing you a potato salad recipe that is out of this world (it has sausage in it. Need I say more?). That’s right, my American friends, the 1st of July is Canada’s big day. There will be parades and picnics, concerts and BBQs, fairs and fireworks and lots of food. But even with all that pomp, Canada day isn’t nearly as big a deal as the 4th of July. I’ve thought about it a lot lately. I’ve wondered if Canadians are less patriotic than Americans. Or if we love our country any less. I don’t think either is true. I think it comes down to a difference between Americans and Canadians: Canadians are generally, about all things, a bit less enthusiastic and a bit more laid back than Americans. And so, celebrating our country’s big day is a bit quieter. Now that we live in the US we don’t do much for Canada Day at all. We’ve thought about having friends over for a BBQ and fireworks but seeing as The 4th of July is only 3 days away, that feels odd. So we just have a regular day. The Hubs goes to work. The kids and I fall into our normal routine. I might remember to dress everyone in red and white. But I usually don’t. To make up for the day being non-celebratory, my plan is to add a bit of fun to the evening. I’m making a Red, White and Easy Pasta Salad Recipe. 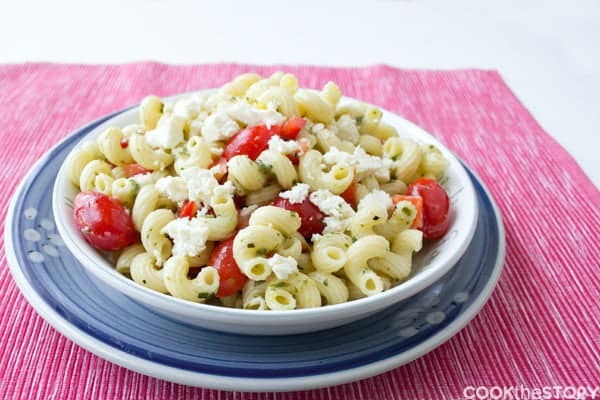 I use leftover pasta (this time twirly-fun cavatappi), grape tomatoes and red bell peppers. To make it super-quick and convenient, I make a dressing by mixing garlic (the squeezable kind, from a tube) with a Mediterranean blend of herbs (also from a tube – see, I told you this would be easy). Then it’s just some lemon juice, olive oil, salt and pepper. The white part of the salad comes from the pasta and from the cheese. You could absolutely use feta but I’ve gone with the much milder, almost mozzarella-flavored, crumbly queso fresco. I’ve fallen in love with queso fresco lately. Look for it at your grocery store. You might be surprised to find it there. Or you can make queso fresco yourself. It’s one of the easiest cheeses to make and requires no special ingredients (just milk, salt and vinegar!). I made a batch a few months ago as a fun science experiment with J. He loved watching the curds separate from the whey. So did I! To complete our Canada Day meal we’ll be grilling, of course. 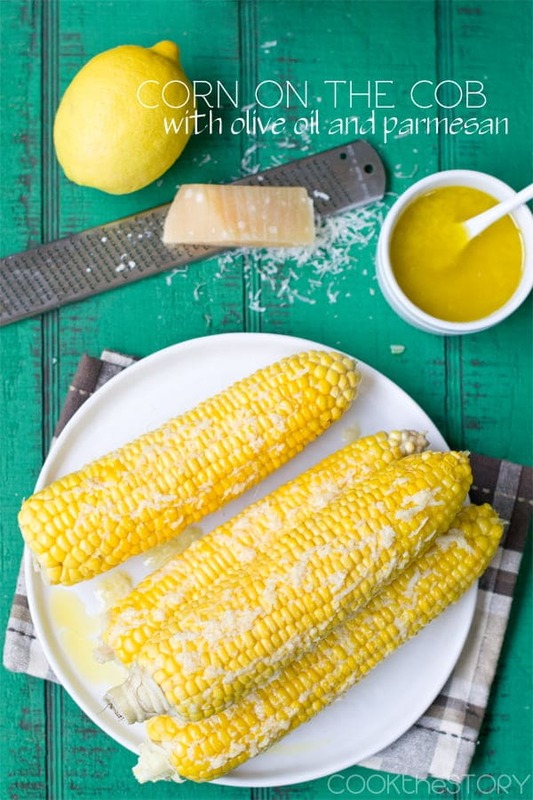 We’re doing some ribs (they’re in the oven now and will finish quickly on the grill later) and grilled corn on the cob with Parmesan and lemon. And then, if J’s gotten over his fear of sparklers, we’ll end our night by using twinkly fire on a stick to spell our names in the air. Happy Birthday, oh country of mine. 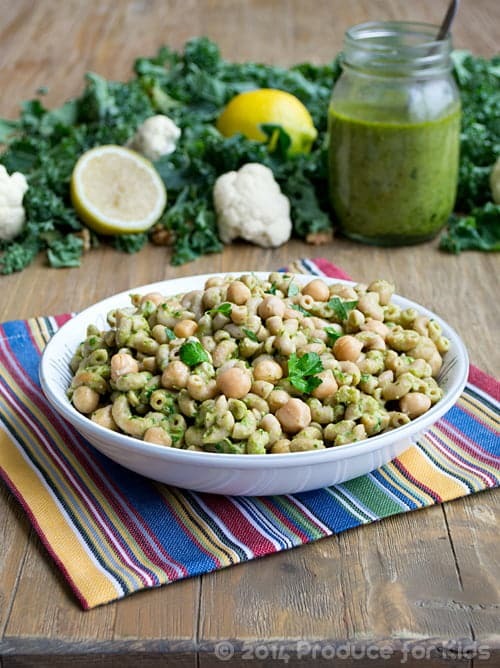 If your family loves pasta salad, be sure to also check out this recipe for cauliflower and kale pesto pasta salad. 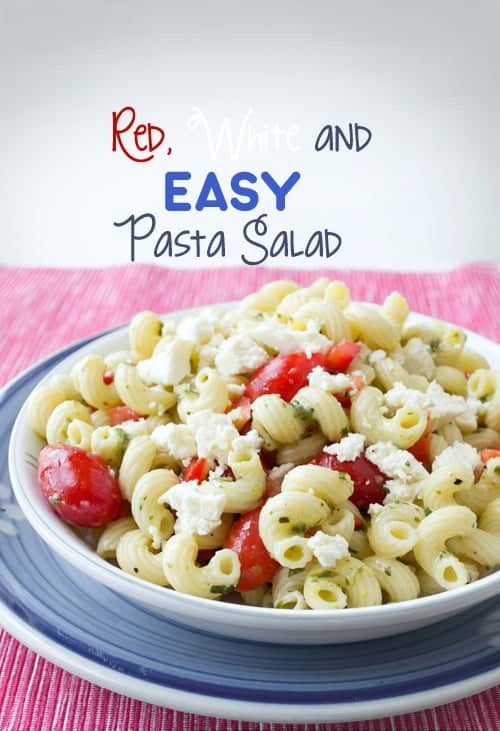 Now, for this red, white, and easy pasta salad recipe! Even though this pasta salad has a homemade dressing, it is still super quick and easy to make. That's because the bulk of the flavor comes from Mediterranean herbs and garlic both from those squeezable tubes sold in the refrigerated area of the produce department. 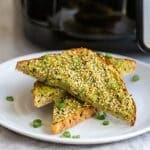 Fresh herb flavors without any chopping. How easy is that? In a large bowl combine the garlic, Mediterranean herbs, lemon juice, olive oil, salt and black pepper. Add the pasta. Toss it around until not only the outside but the insides of the noodles are coated in dressing. Add the tomatoes and bell peppers and stir. Transfer the salad to a serving bowl and then crumble the queso fresco over top. 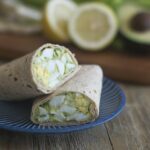 This post is part of the Virtual Picnic series sponsored by Flavors of Summer. Looking for more summer recipe inspiration? Disclosure: Flavors of Summer has paid for the prizes (giveaway now closed) for the Virtual Picnic and has paid for some of the costs involved with designing the event. The links to Amazon above are affiliate links. If you click on them and buy anything, I will receive a small remuneration. All opinions are my own. 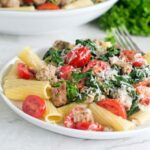 This pasta salad sounds amazing! 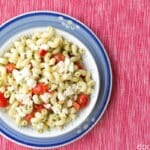 I love the idea of adding queso fresco to a pasta salad! I love this salad, there’s just nothing like a great pasta salad. This one fits the bill. And cool choice on the cheese, I need to try that out. I find feta overwhelming, but this might be perfect for my taste buds. And I chuckled over the Canada Day thing. You need to come visit our area. Our entire neighbourhood has flags up, they have huge 3 day parties which include fireworks every single night. It’s been a very loud weekend, my pets hate the fireworks so there’s been lots of barking, growling and hissing. Total chaos. Kim, that’s too funny. I know that Canada Day in and around Ottawa is insane. Are you near there? I think the rest of the country is more laid back. But I could be wrong. Maybe it’s just me! Yes, look for Queso Fresco. It often comes in two types, one crumbling cheese and one melting cheese. You want the crumbling kind. My husband hates (hates, hates, hates) feta but he loves this. It’s really mild and you can use it wherever you’d use feta. Happy Day to you with this perfect celebration salad!